Now lets take a look at the board itself. 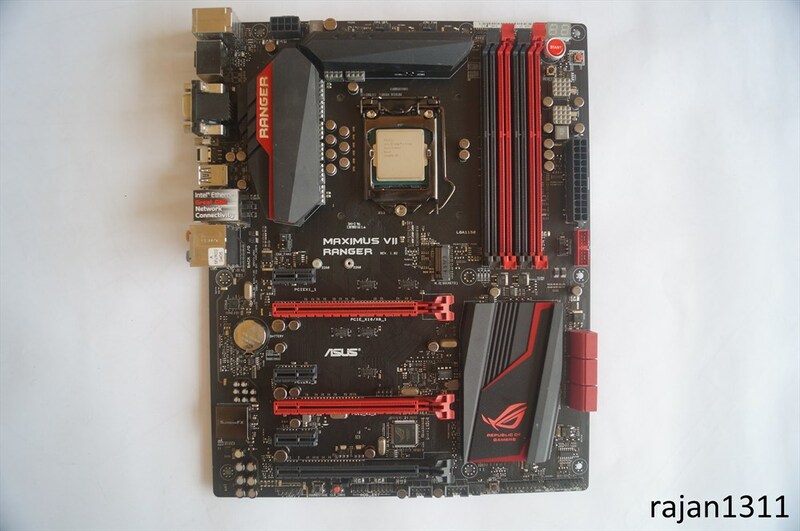 The board carries the same styling as the rest of the Maximus ROG series boards, a beautiful red and black theme. 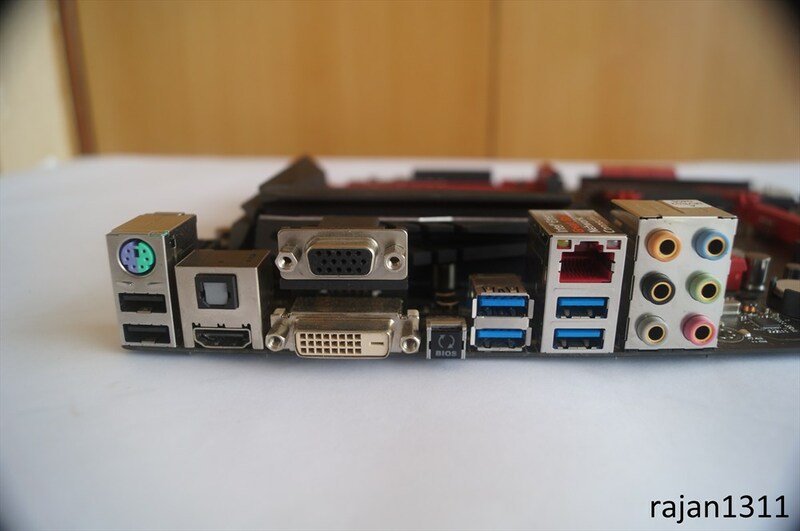 Taking a quick look, you may notice the 4 RAM slots, 3 PCIe x16 slots, 3 PCIe x1 slots and the M.2 connector. 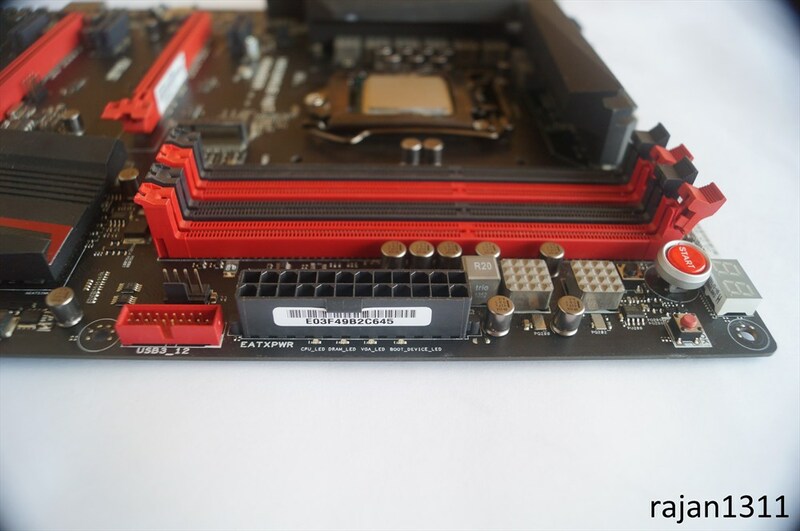 Taking a closer look, on the top edge of the board we find 8-pin motherboard connector, 2 4 pin fan headers for CPU cooling placed in a convenient location. Moving to the left, we can see the large start button, a reset button and an LED display for displaying error codes. These buttons are pretty useful when your running the system on an open bench as you don’t have to mess around shorting some pins. Various error codes for the LED display can be found in the use manual. Next to that, we find the MemOK! button which is basically used to boot your system on fail safe memory settings, just in case your system got unstable while overclocking. 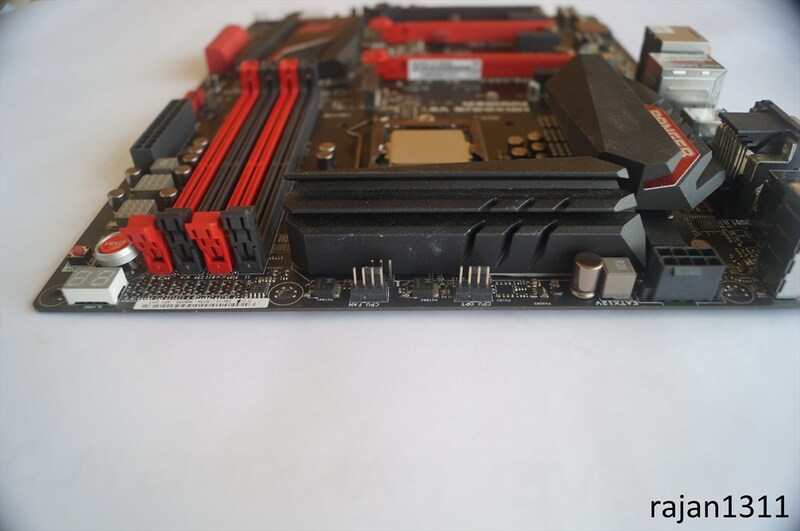 Then we have the main motherboard power connector, a 4 pin fan header as well as the front USB 3.0 header. 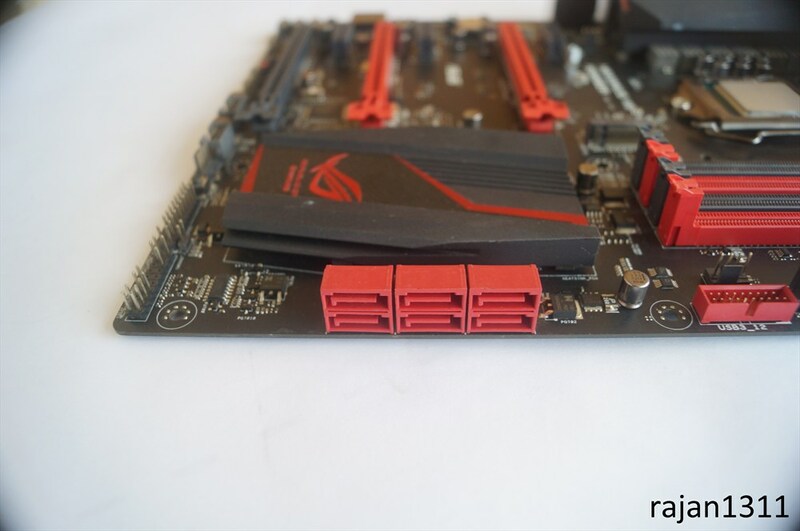 Moving further down the same edge, we find 6 SATA 6Gb/s ports. 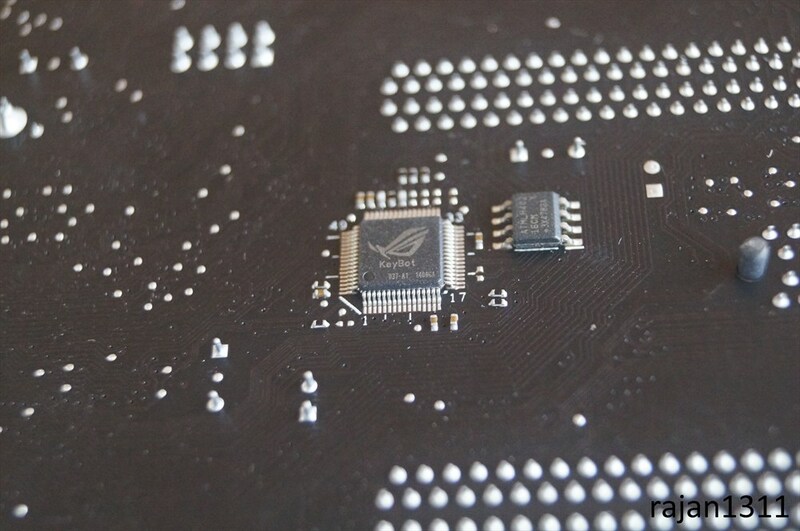 Many Z97 boards these days offer the Sata Express connectors, but as you can see, Asus decided not to go for it. 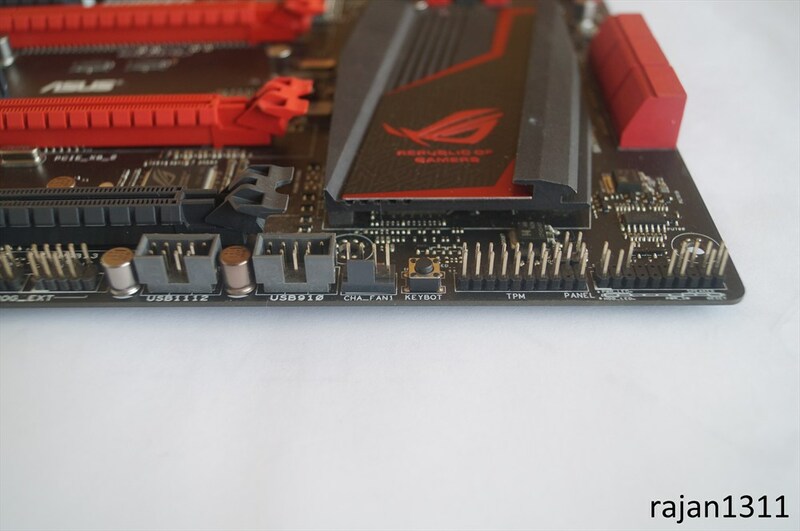 Today’s SSDs have started saturating the SATA 3 bandwidth, so the SATA Express, which uses PCIe lanes for much more bandwidth. Anyways, there are not many SATA Express drives available and I don’t think most gamers would really need it for some time. 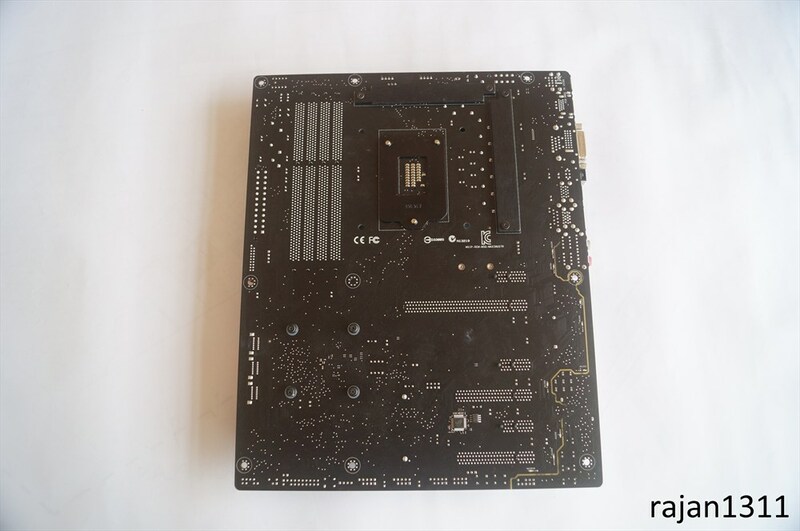 But if you do, don’t worry, you have other options, the board does have an M.2 connector, which we will talk about a little later. Now moving to the bottom edge, we see a Keybot button, which we will discuss later, another Chassis fan header, 2 USB 2.0 headers, Sound Stage button and a clear CMOS button. 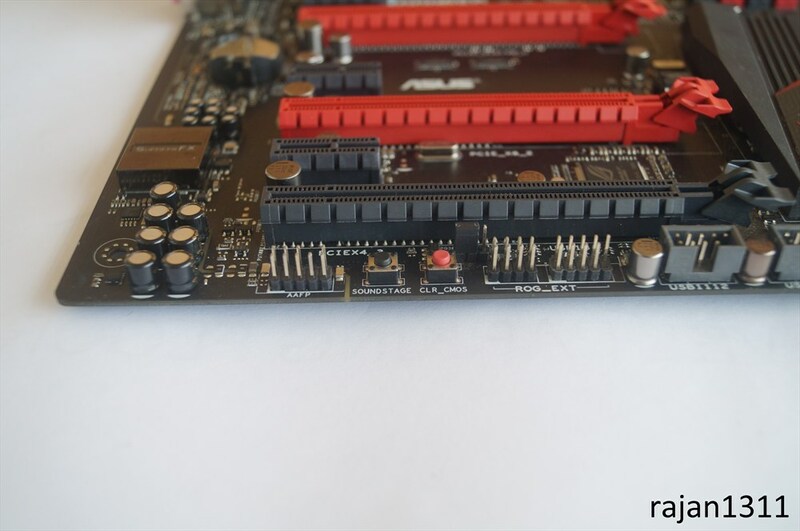 Moving to the back end of the motherboard, we notice the SupremeFX Audio with ELNA audio capacitors. 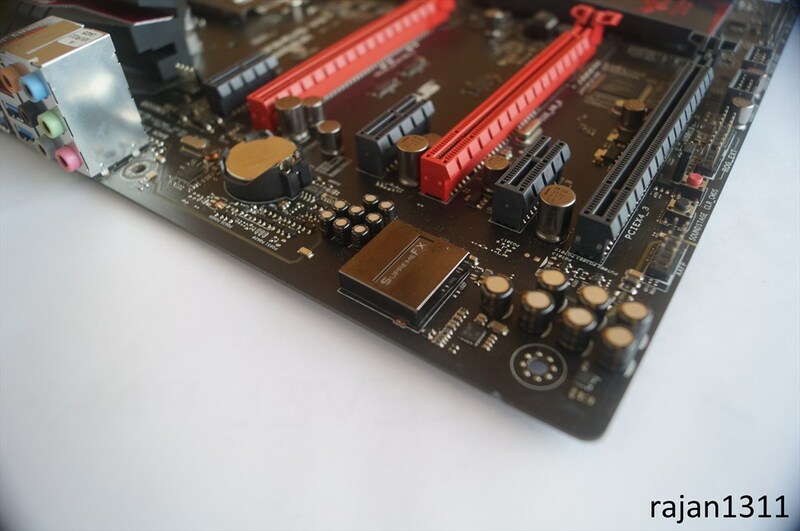 SupremeFX is actually the Realtek ALC1150 codecbut comes with high quality components such as ENLA capacitors along with some emi chielding and PCB separation. Moving up, we have the rear IO ports. We got 1 PS2 port, 2 USB 2.0 ports, HDMI port (supports 4K video), a DVI and D-Sub port. We then got the BIOS flashback button, 4 USB 3.0 ports, 1 LAN jack and your 7.1ch audio connectors. Flipping the board over, we notice the 2 heat sinks for the MOSFETs and a couple of ICs, which are for the Keybot feature.